When I decided to publish my own books, that was a “hey let’s try this” that became, whether I planned it or not, the thing that would define me as an author. There are people who are aware of me as a self-publisher who’ve never picked up my books. So that’s how it’s going to be. 1. I explored ebook retailers apart from Amazon. I had one fantastic year on Amazon, and one great year on B&N, and then…boring. My sales plateaued, a sign that I was selling books to mostly the same group and it wasn’t expanding. I tried Amazon exclusivity and felt that it wasn’t worth it, but the difficulty with being everywhere? It’s a lot of work to be everywhere. Submitting to ebook retailers with different submission requirements. Making edits and corrections. When the same book looks different on a different site. Arg. It’s tempting, so tempting, to just stick to the bigger stores, because why do this work for the 2 people who buy from that store because they refuse to buy from the biggest ones? But I did it anyway, because I should be everywhere. It’s taking a bit of time though for me to get everything done. 2. I pushed print on demand and cheaper print editions. Because of the requests for paperback I kept getting, I worked a lot with printers the past four years, to release all my books in print within the same month as they were out in ebook. I also found alternatives so that a book could be sold for P200 — very close to my traditionally published print books, which are P175 each. This is also exhausting work, and should only be done for love, and not profit. Even though I’ve got the process down and know how I can get it done, I’ve decided that it’s not worth the time spent. People who love print books? They have a standard of printing quality, I believe, that must be maintained. If I were to give them what they deserve as book lovers (a beautiful cover, well-designed book pages, good quality printing) and produce it as an indie publisher, it would be super expensive. There will be some people who will want it, but the ones who just want a cheap read they find in a bookstore? I can’t provide that for them. 3. I wrote for the audience. 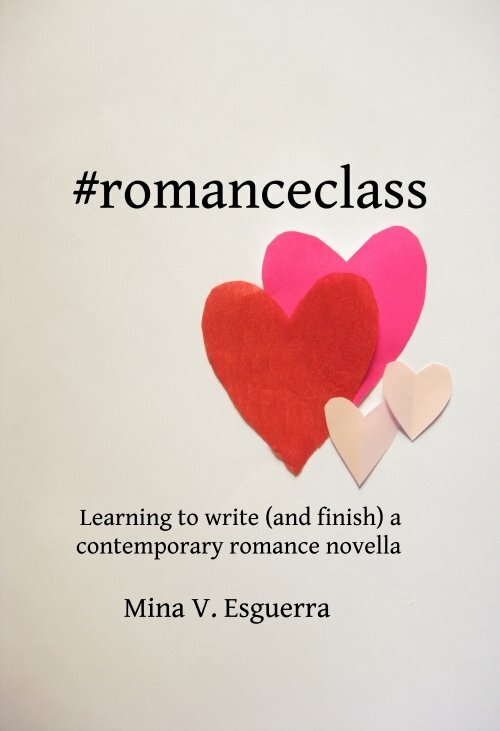 After writing, selling, and promoting contemporary romance in English with Filipino characters for three and a half years, I tried something new: I wrote a contemporary romance in English. Were the characters Filipino? No…or are they? I didn’t say anything either way. I wrote a romance novel exactly how I write them, set it in a place I was familiar with because my family lives there (but it’s not in the Philippines), and it was promoted the way that international contemporary romances are usually promoted. And…it was a success. A modest success compared to other books, but definitely the biggest success of any book of mine, given the same time period. 1. My focus is back to digital. With a vengeance. Any time I have I think should be spent writing, instead of publishing. Print on demand will still be available of course, but I’ve dropped from my brain space all plans to try to come up with print distribution model that will work for me. I will work with anyone who has figured this out, but I won’t try to come up with it myself. I will focus on writing more, and getting my work out to the growing number of readers who want to read ebooks. Print lovers will still have print on demand, and I’ll probably still sell at book fairs if I can. But it’s digital first for me, and those who are into digital too will get loads of perks. In fact, my mailing list and various book groups already don’t pay more than $1 for any of my books. Stick with me and a book will always be cheap or free. 🙂 I can’t offer that deal with print. 2. For everything else, I will work with other people. Right now I teach writing and publishing classes. But I don’t do or know everything, so I also work with bookstores, book bloggers, and printers when I can. Moving forward, I’ll continue this practice, and just let people do what they do best. 3. I’m writing romance, period. That romance-writing experiment? I’m doing more of it. I’ve started writing a new series called Spotlight, and the first two of the books will come out this year. International settings, international characters, but romance the way I write it. I will still write my Philippine-setting stories (under the series Chic Manila) but expect more Spotlight stuff in the future as I work on filling up that line.